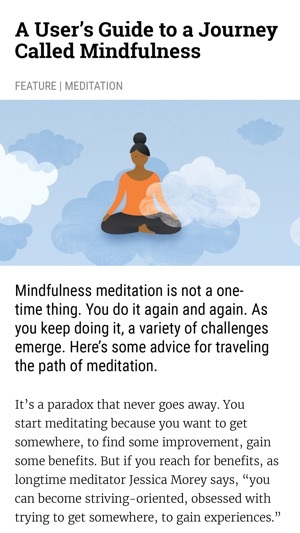 Experience the new Mindful app and get access to all the groundbreaking stories, mindfulness practices, tips and expert advice from the print edition now optimized for a mobile reading experience, with the option to view a PDF version with complete artwork and design as it appears in print. Enjoy enhanced functionality and social sharing, with clear navigation and an easy reading experience on any device. © Foundation for a Mindful Society. All rights reserved. 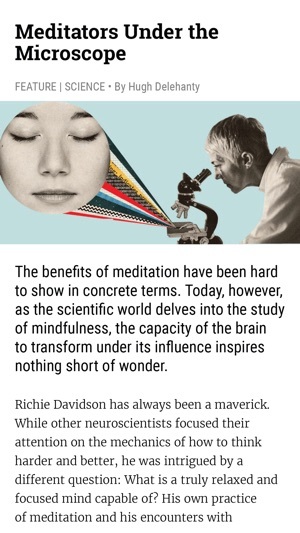 Mindful is a registered trademark of the Foundation for a Mindful Society.